Introductory 90 Minute Life Coaching Session. Upon receipt, we will contact you to schedule your first session for a date and time that works for you. Your Introductory Life Coaching session includes a comprehensive client personality profiling and life assessment, which Lisa will collate prior to your call. 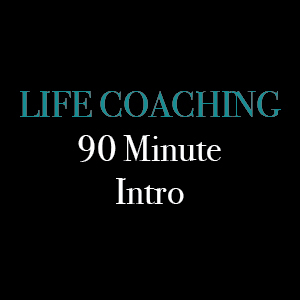 Once you have had your 90 minute introductory life coaching session, you and Lisa will discuss the possibility of a 1, 3, or 6 month package tailored to your needs.